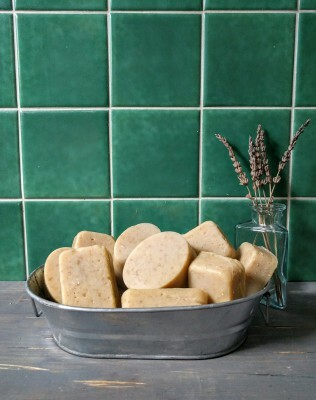 Our homemade soap is cooked up using hot and cold processes, with all natural sustainable ingredients. Soap making is a science, and folks, you're in luck, because this girl happens to be a scientist. Ok, you don't have to be a scientist to make soap, it just helps me convince people that my soap is the best. There's also some math involved, and I'm no mathemetician, but lets just say I always measure twice. Because afterall, bad math equals bad soap. For more information about each batch, click on each picture. 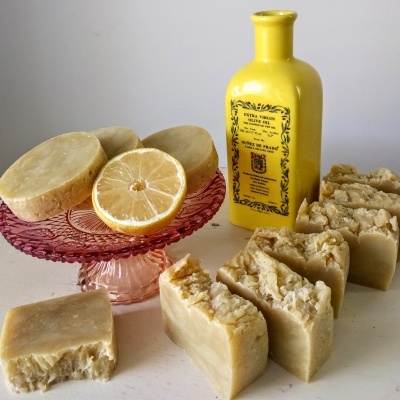 Vegan, all natural, homemade soap made from just about anything you could possibly get your hands on from your local garden, including the bees and the fragrance! This well balanced bar is exfoliating, healing, conditioning, and moisturizing making it perfect for everyday use for the face or body. 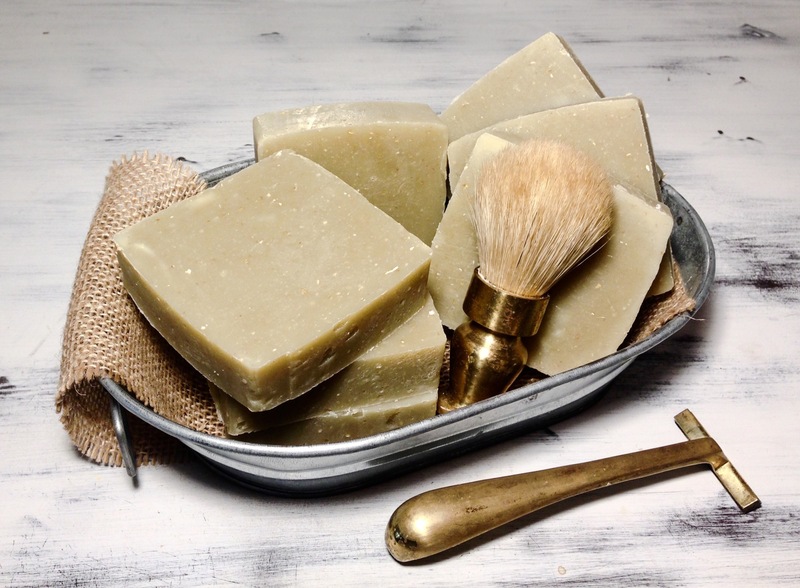 Vegan, all natural, homemade soap formulated to create a creamy, stable lather with extra slip, making this bar perfect for shaving. Ground oats help provide soothing comfort along with the conditioning properties of this particular formulation. 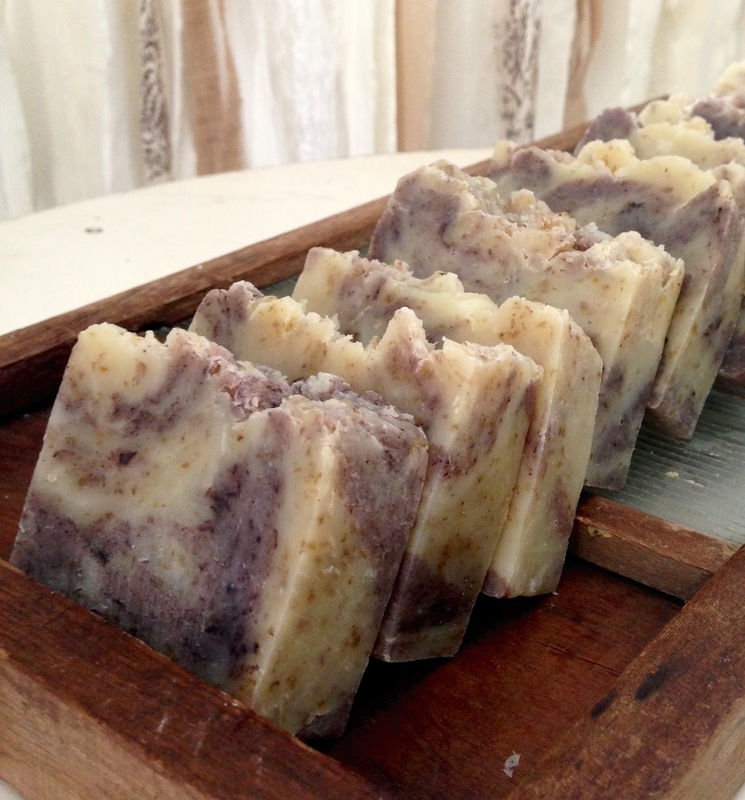 An all natural, vegan soap which gets its moisturizing properties from key ingredients such as olive oil, cocoa butter and sweet almond oil. Great for healing dry, flakey skin. And it smells good enough to eat! For face and body. All natural, but not vegan on account of the goat's milk. Goat's milk contains alpha-hydroxy acids, that help remove dead skin cells and leave behind a new smooth layer of skin. It is also good for skin conditions such as eczema and psoriasis and is particularly high in vitamin A, which helps repair damaged skin tissue. For face and body. 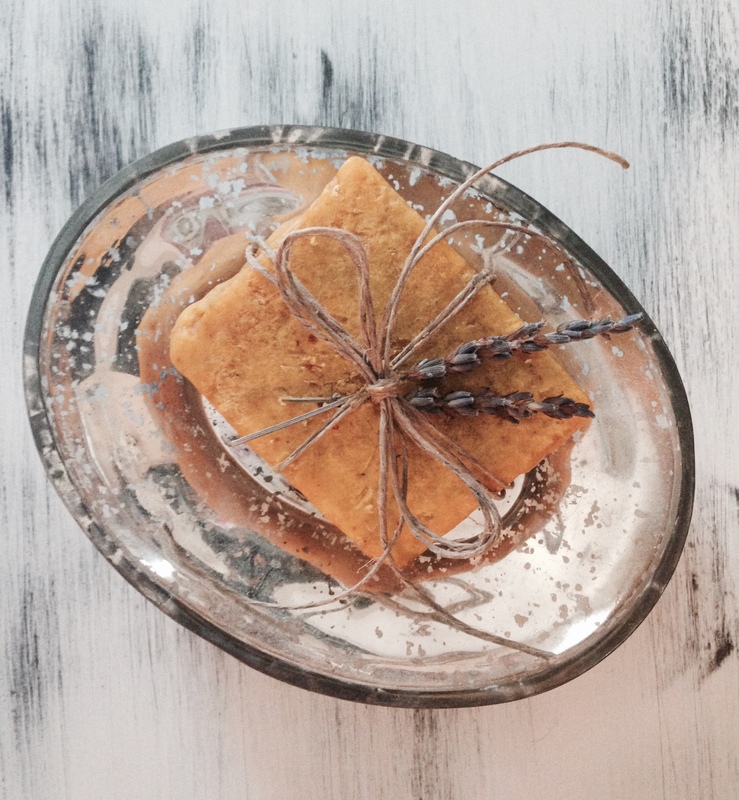 The Healing Bar is an all natural, vegan soap formulated using flax seed oil, which is known to help heal skin abrasions, reduce skin inflammation from rashes and help with scaring. 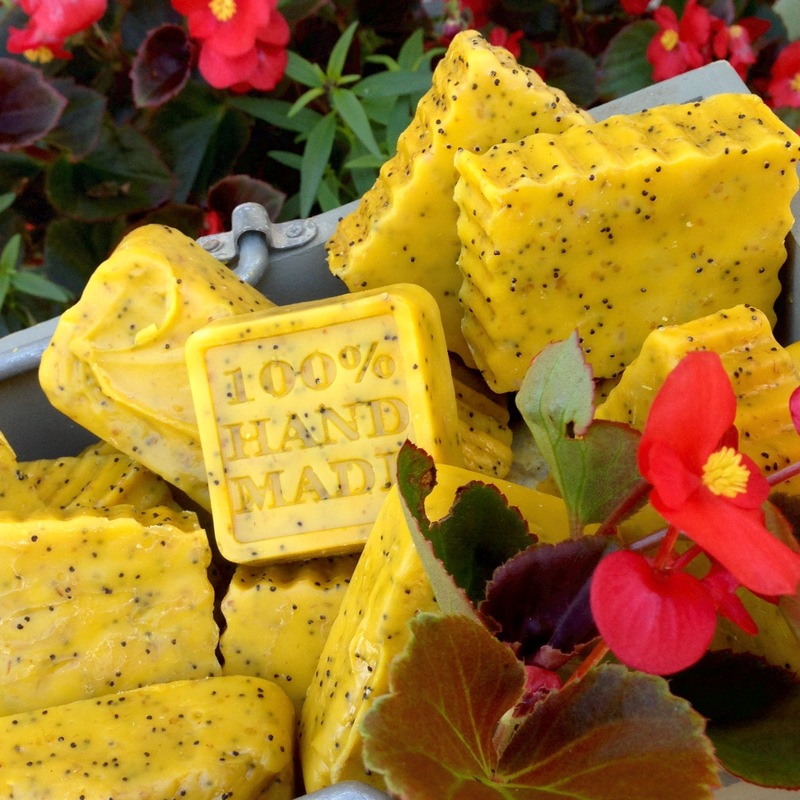 Don't take my word for it, try this magical soap for yourself! Not to mention, its cinnamon and cocoa powder swirls will give your bathroom the aesthetic inspiration it's been waiting for.